Potus non frangit ieiunium. – “Drinking is not breaking the fast”. Stout or strong beer owes its origin to this old catholic rule for Lent. In former times monks and lords of the castle brewed a powerful bock beer to strengthen themselves for the 40 days of fasting leading up to Easter solemnities. In Bavaria, an extra-strength bock beer is immediately recognizable by the suffix ending in “ator”. 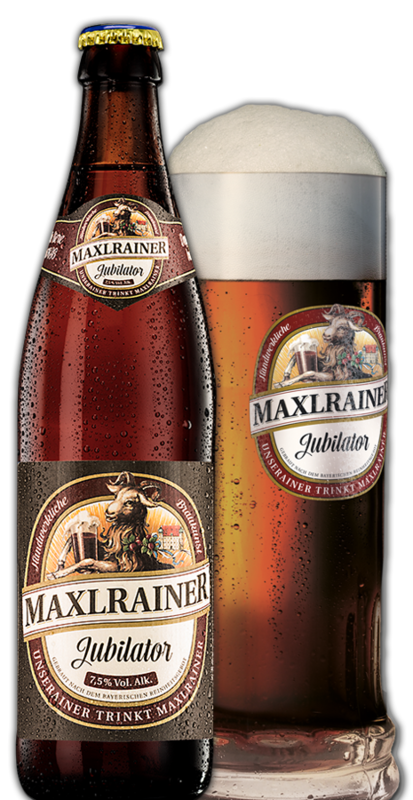 Scrumptious JUBILATOR DOPPELBOCK has been brewed at Maxlrain since time immemorial. Dark, intense and round in taste, it ranks among the Maxlrain popular seasonal beer specialities. In 2012 the JUBILATOR was awarded the DLG Gold Medal.